The Land Rover Defender is an off-road vehicle produced under this name by the British manufacturer, Land Rover, since 1991. 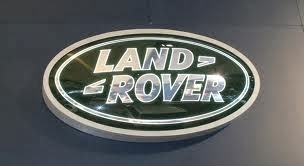 However, the vehicle is the direct heir of the first Land Rover that made its debut in 1948. The first prototype was built by the British automaker in 1947 and it was designed for the army. This iconic car was improved over the years and it has been known for generations as a national treasure. Information about the vehicles on this site are provided by the sellers.. This does not make any representations or warranties that such information is correct. Defender-Landrover- does not have control over and does not guarantee the quality, safety or legality of items advertised or the truth or accuracy of the content of this information. Please satisfy yourself before purchase that the information is correct by contacting the seller. Please note that sellers often advertise in multiple locations this results in some early ending of auction sales. Older entries are left for examples only. Picture Window theme. Theme images by sndrk. Powered by Blogger.